Changing your name once you’re married is a personal choice. 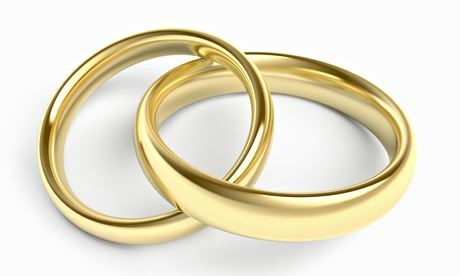 It may no longer be expected, but many women do still choose to have the same surname as their partner, whether this be by taking their partner’s name directly or by using a combination of both surnames. Either way, any change of name brings with it legal requirements. The decision however, is often more emotional a process than legal. While some brides can’t wait to take on their partner’s name, others need to think it over for quite some time. It can cause emotional distress, from the fear that you will lose your independence and identity, to simply not liking the new surname or how it sounds. The groom can sometimes also take offence if the bride doesn’t immediately want to take their name. Communication is vital, so if you do have concerns, be sure to talk things through with your partner. There are many options that you can discuss and find something that works for the both of you. You may not even realise all the options that are available to you. Some require the use of deed poll, some just your marriage certificate. Combining surnames, going double barrell or taking your maiden name as a middle name are all possibilities. When the legalities are undertaken however, there are several aspects of your life that will be affected. Personal, medical, professional, legal and even social. When you decide to make these changes is another decision you’ll need to make. If you’ve chosen an option that requires deed poll you can either apply for the deed poll ahead of your wedding, (it’s best to allow at least 3 weeks for this) with the date of your wedding in the comments box. This means that you can sign it on the day of your wedding and change your name immediately. If you’re in no rush, or you’re still mulling over the options, you can apply once the wedding is over and you’ve settled into married life. If you want to see your new name on your passport, you can apply to change your name up to three months prior to your wedding. You won’t be able to travel on your passport until your wedding day though, so take this into account if you have any pre-wedding trips planned. The upside though, is that your new name will be on your passport for your honeymoon. The best thing to do is make a checklist. Go through every area of your life and note down the companies, organisations and people who will need to be aware of your name change. This infographic is a great start to help you organise a necessary task. It will make the process much easier and that leaves you less to worry about as your big day approaches and more time to celebrate. In this infographic, we guide you through the process to make sure you aren’t caught out by a technicality further down the line. With some simple tips on things to watch out for, you can prepare for the name change, whatever form that might take. The Daffodil Hotel Blog is home of luxury lifestyle advice, news from the Lake District and a range of useful infographics. Covering everything from stylish weddings to the region’s iconic cuisine – there’s truly something for everybody. The Daffodil Hotel & Spa is located in stunning surroundings on the banks of Grasmere. To learn more about this award-winning venue, visit the site (www.daffodilhotel.co.uk/).